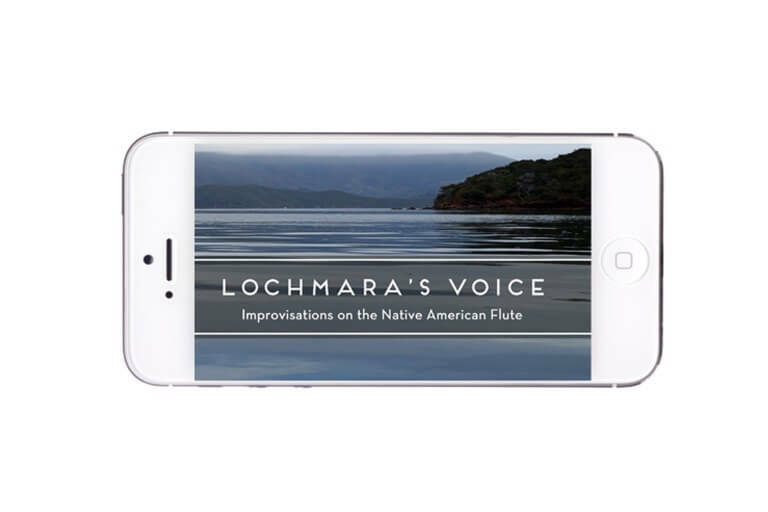 For Lochmara’s Voice Todd Chaplin draws on the inspiration of the natural world and the power of spontaneity – calling forth from his handcrafted flutes songs redolent of time and place that yet evoke universal human emotions, timeless spirit and connection to our world. Lochmara Lodge, located in the Marlborough Sounds of Aotearoa New Zealand, hosted Native American Style Flute craftsman Todd Chaplin as its Artist in Residence in the Autumn of 2015. Flutecraft, music-making, and meditation amongst Lochmara’s breath-taking natural beauty led to the recording of the remarkable solo flute improvisations that, blended with the in situ soundscape of forest and coast, river and rain, birdsong and bees, are released here as Lochmara’s Voice. The Native American Flute lends itself beautifully to improvisational playing. For Lochmara’s Voice Todd Chaplin draws on the inspiration of the natural world and the power of spontaneity – calling forth from his handcrafted flutes songs redolent of time and place that yet evoke universal human emotions, timeless spirit and connection to our world – all the while showcasing the resonant artistry and versatility of these spellbinding wooden instruments. Digital Downloads – you’ll receive an email link once the order is complete. This link is to download is a .zip file, you’ll need to open the file once download is complete, then copy the files to your music directory.